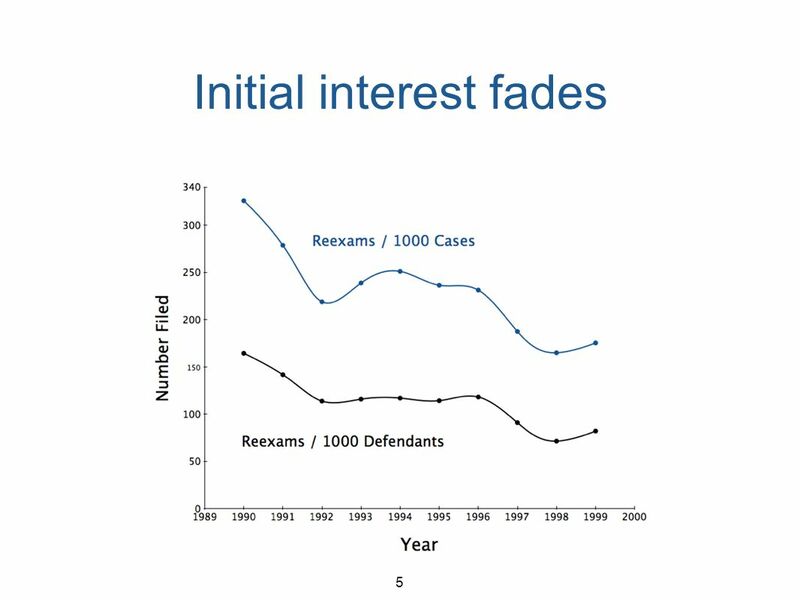 1 1 The Promise of Reexamination: Fulfilled or Fizzled? 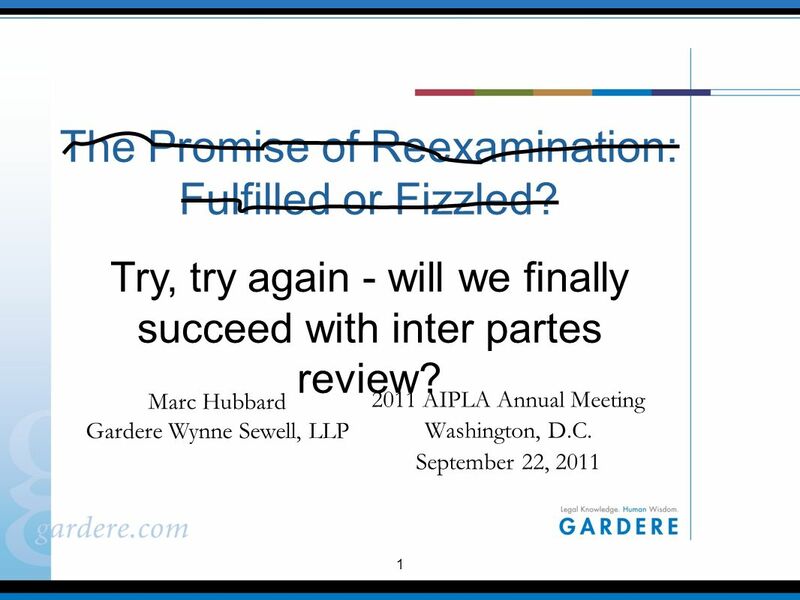 2011 AIPLA Annual Meeting Washington, D.C. September 22, 2011 Marc Hubbard Gardere Wynne Sewell, LLP Try, try again - will we finally succeed with inter partes review? 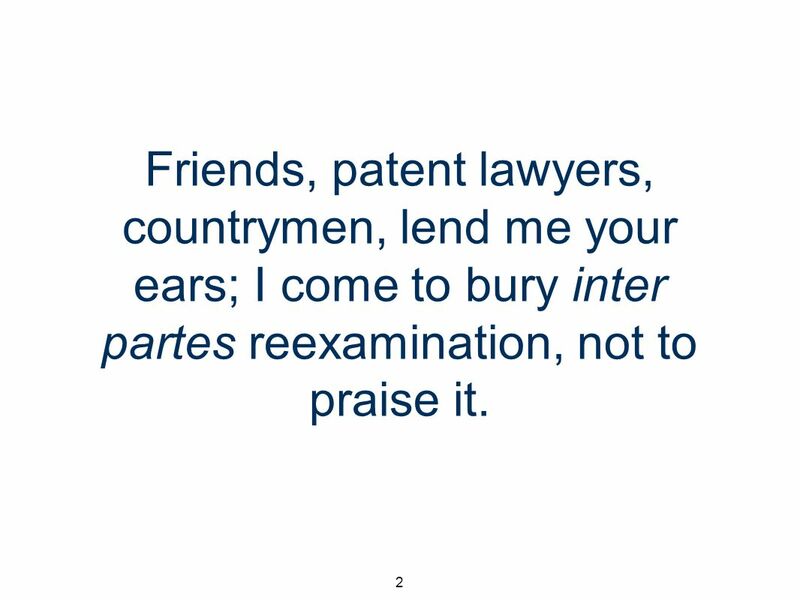 2 2 Friends, patent lawyers, countrymen, lend me your ears; I come to bury inter partes reexamination, not to praise it. 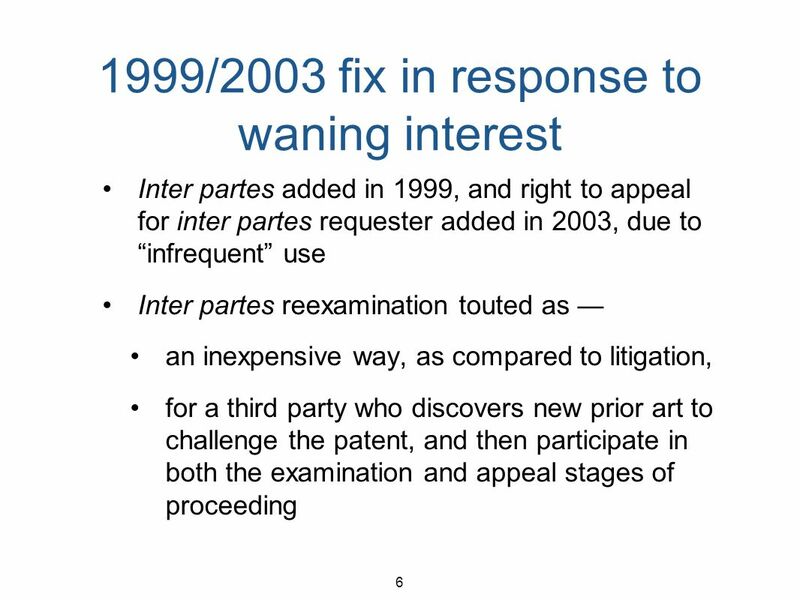 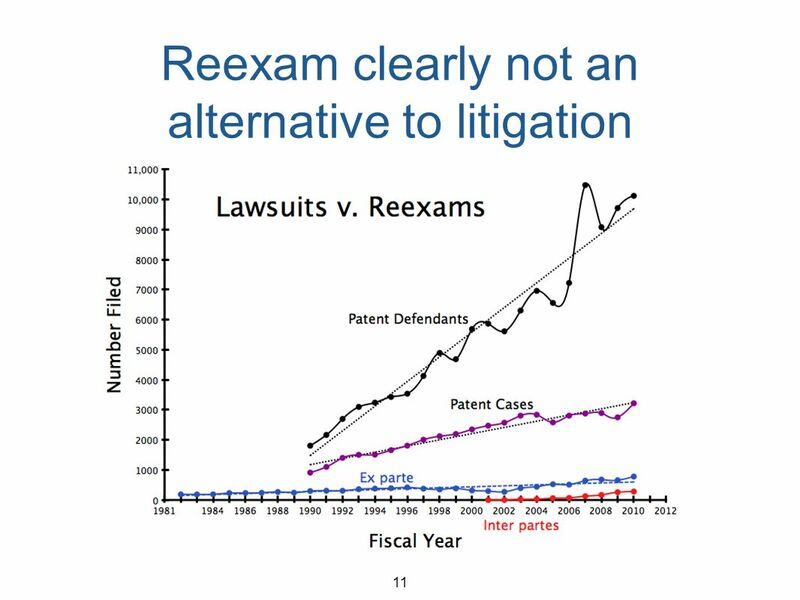 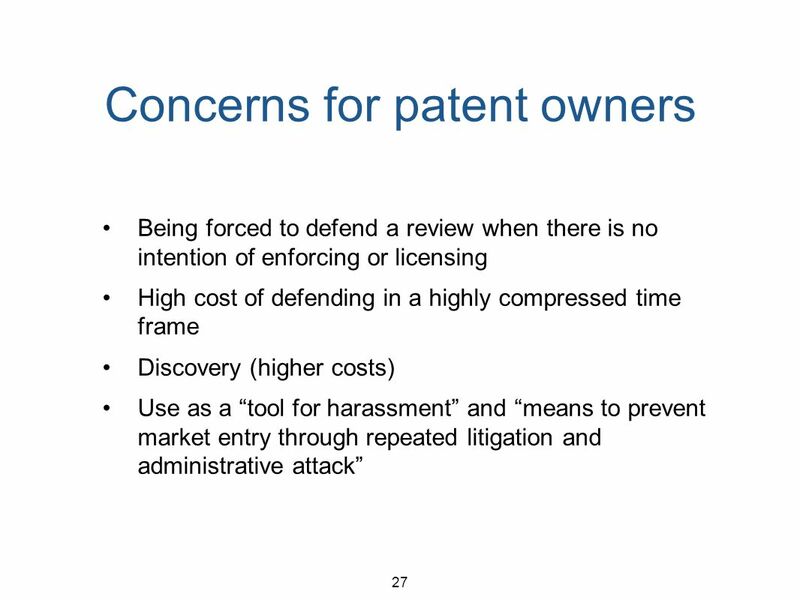 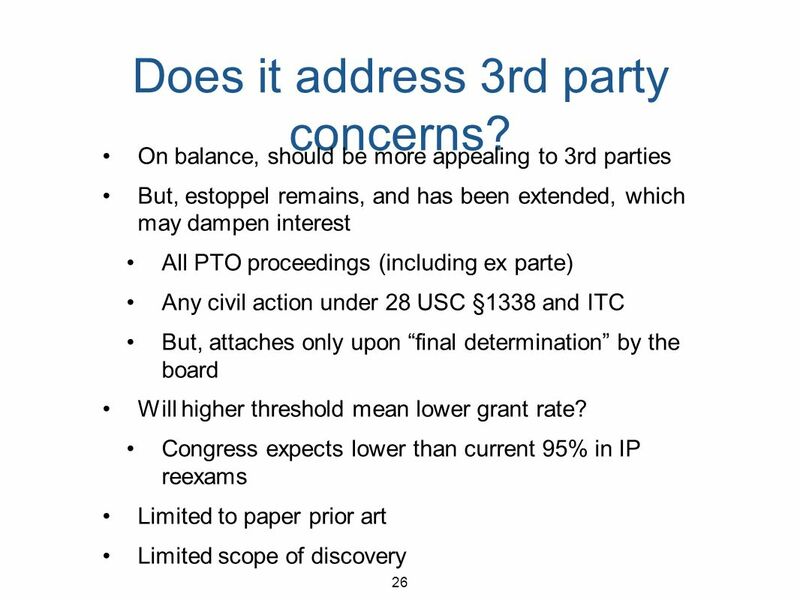 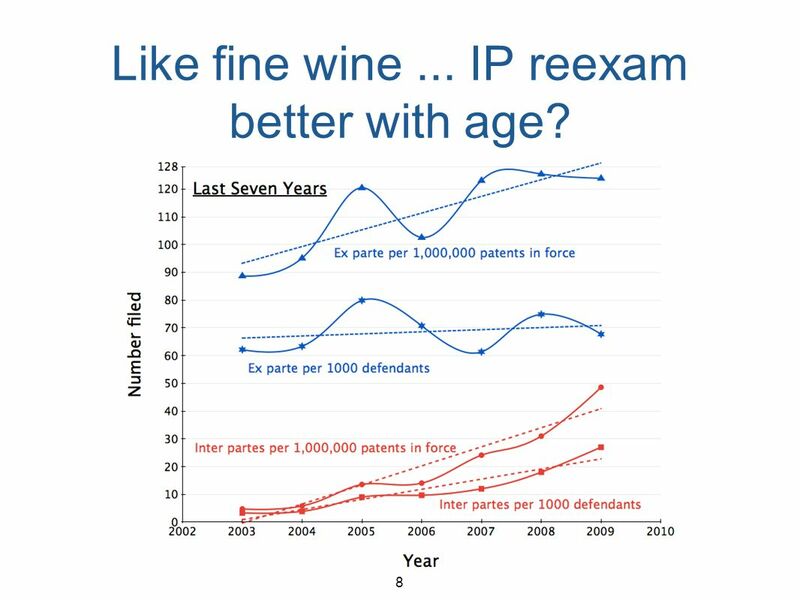 8 8 Like fine wine... IP reexam better with age? 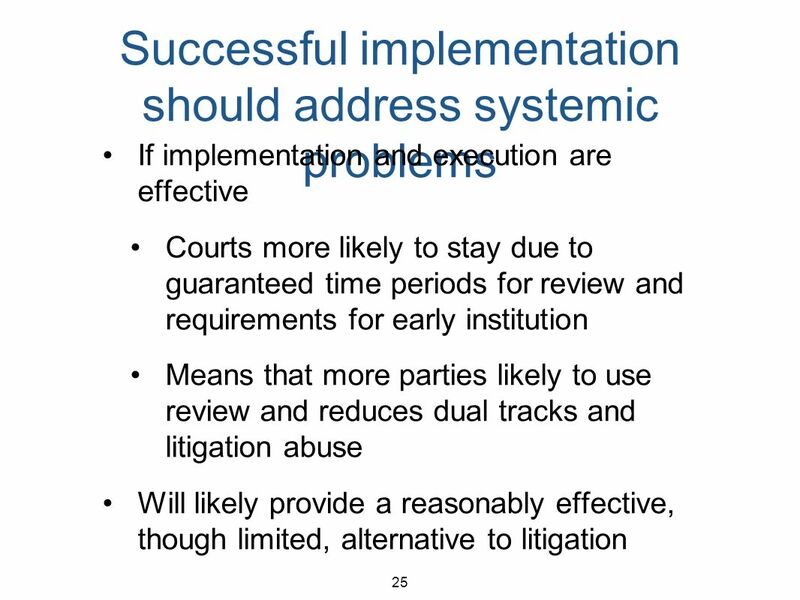 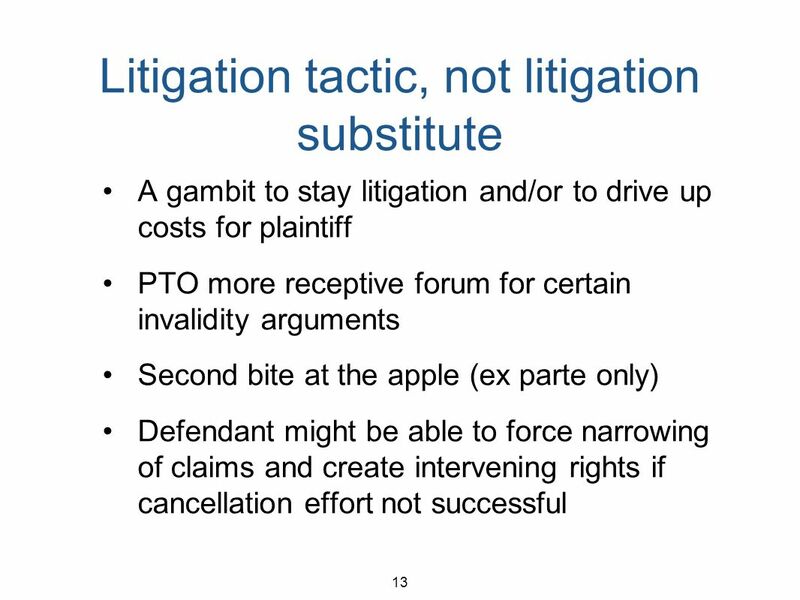 12 12 Not a policy success from a system point of view Inter partes reexamination is frequently not being used to resolve validity issues outside of litigation (71% with patents in litigation) Concurrent litigation stayed only 50-60% cases; courts expressing concern about delay at PTO Reexams are not, compared to district court litigation, fast (averaging about 3 years for inter partes; only 278/1097 completed; pendency increasing). 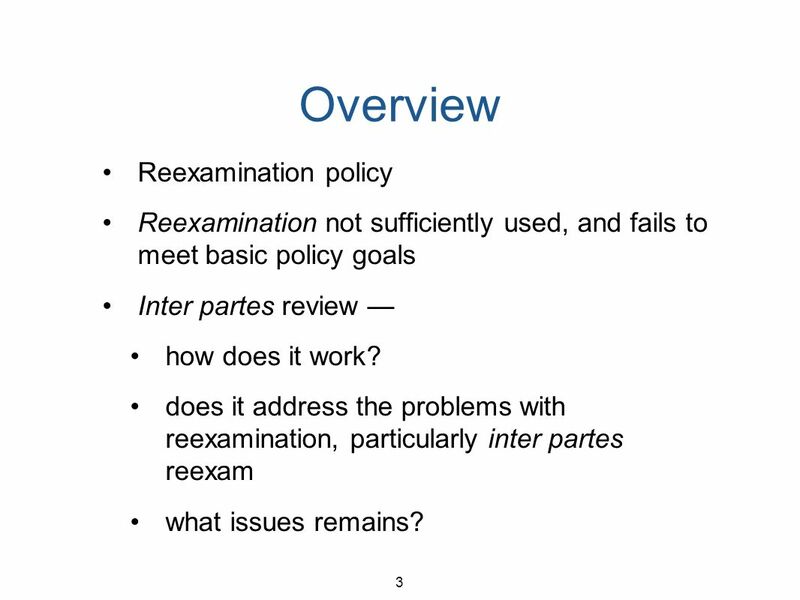 The examination model and current rules not working. 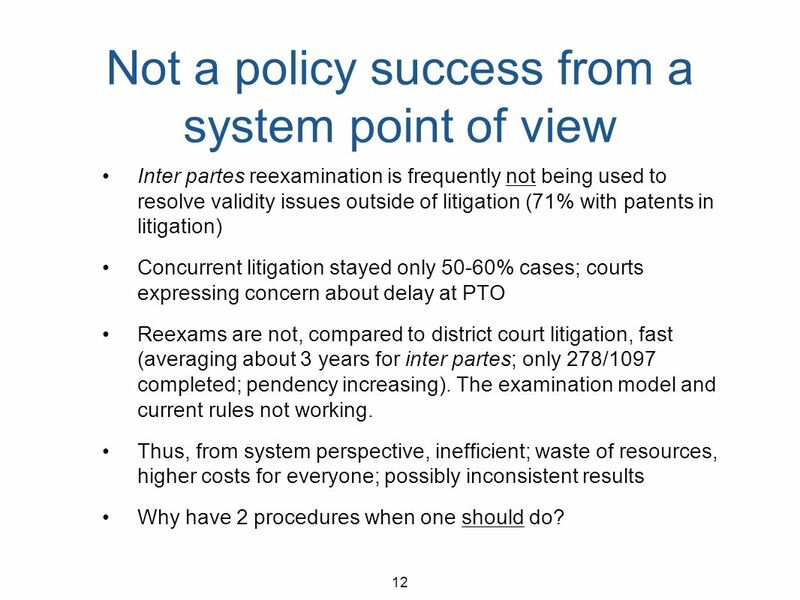 Thus, from system perspective, inefficient; waste of resources, higher costs for everyone; possibly inconsistent results Why have 2 procedures when one should do? 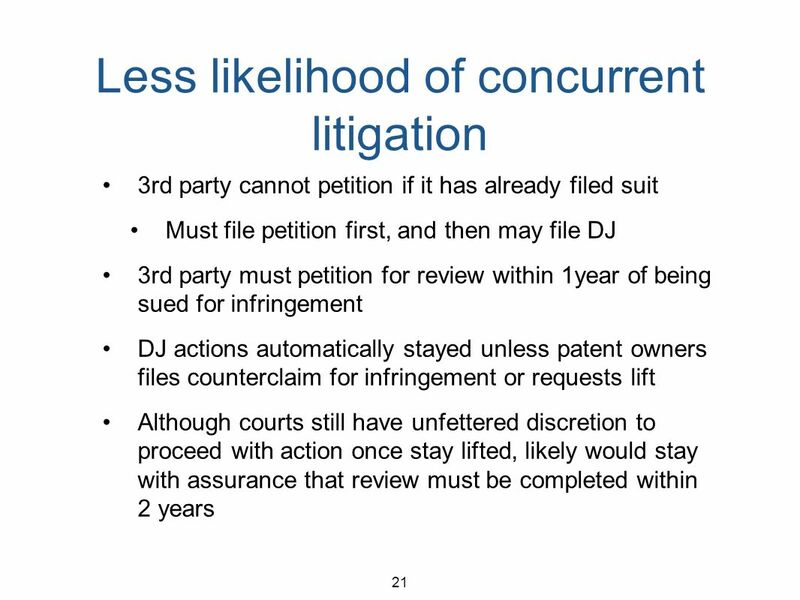 15 15 Third time the charm? 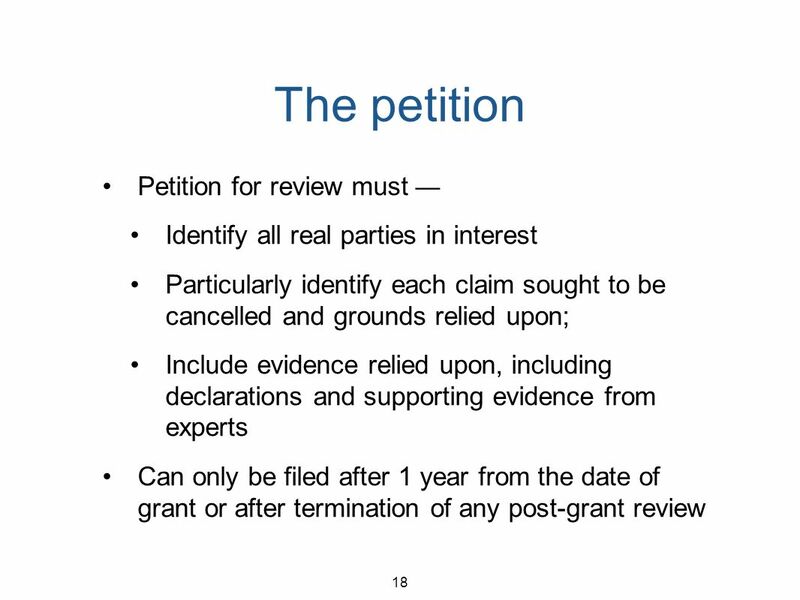 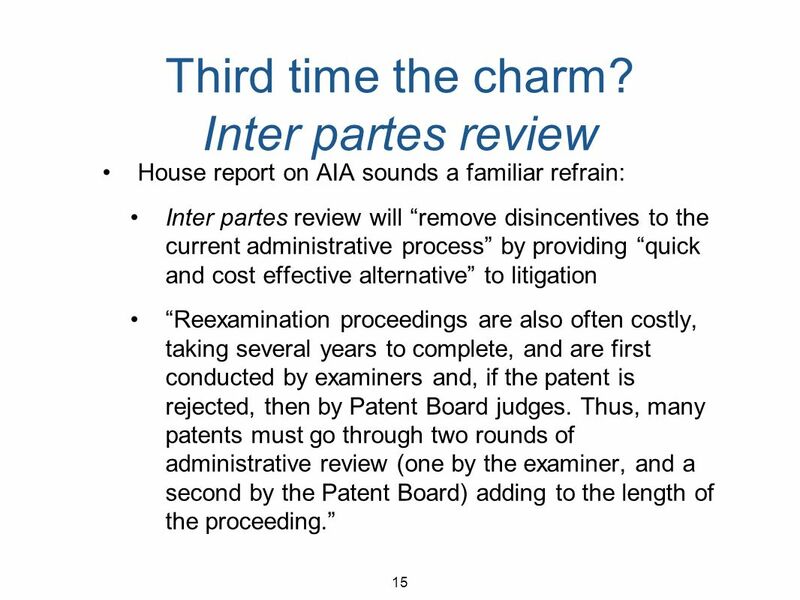 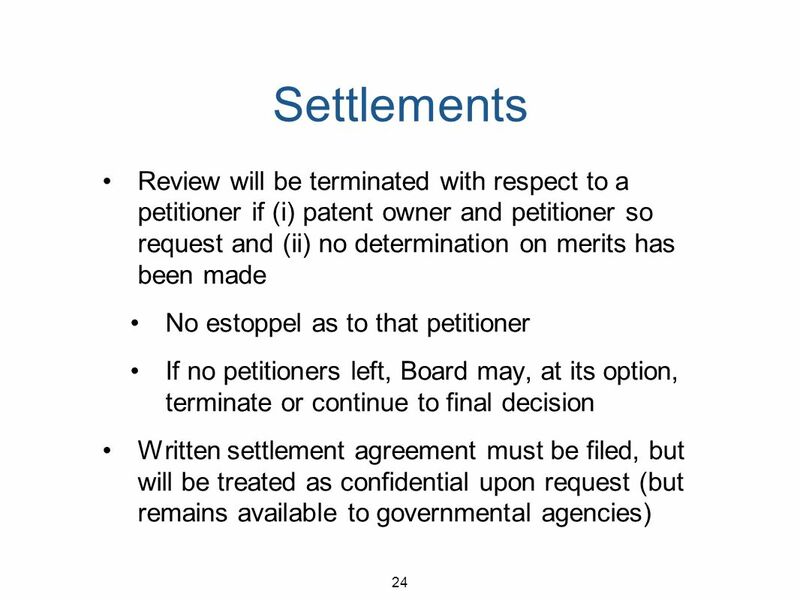 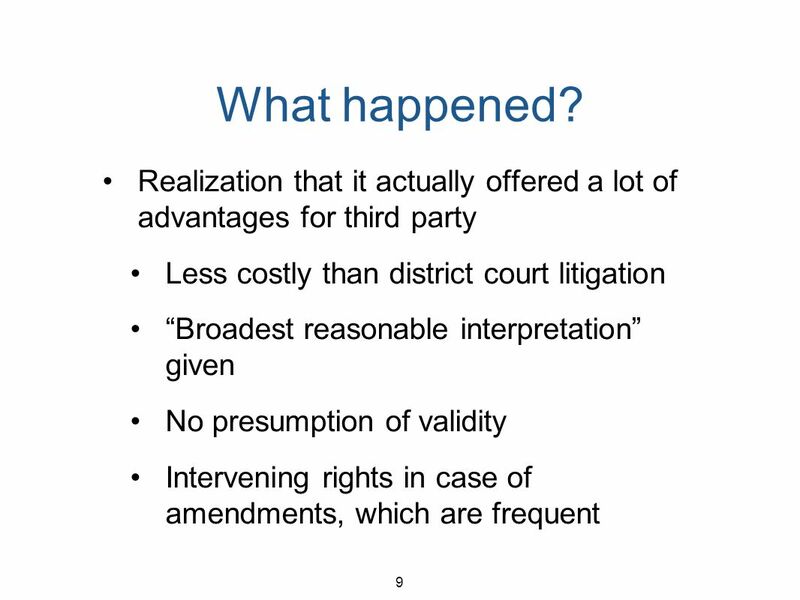 Inter partes review House report on AIA sounds a familiar refrain: Inter partes review will remove disincentives to the current administrative process by providing quick and cost effective alternative to litigation Reexamination proceedings are also often costly, taking several years to complete, and are first conducted by examiners and, if the patent is rejected, then by Patent Board judges. 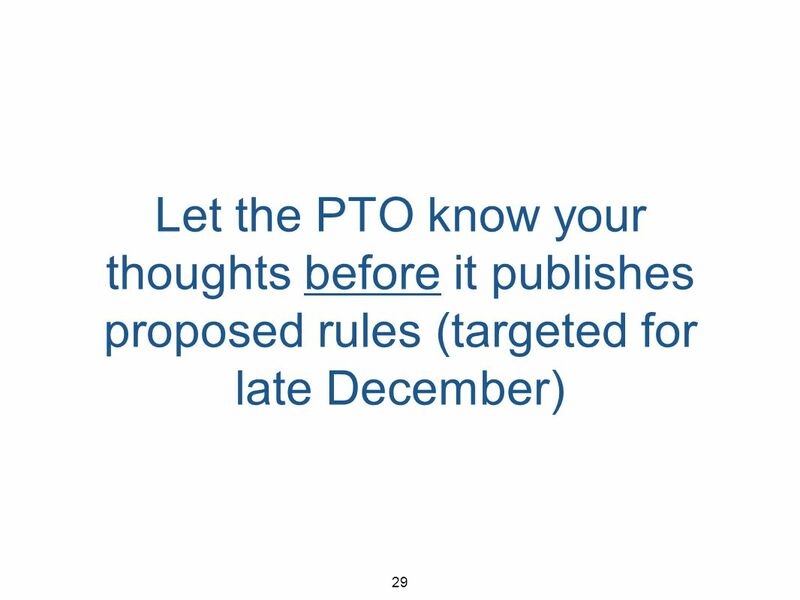 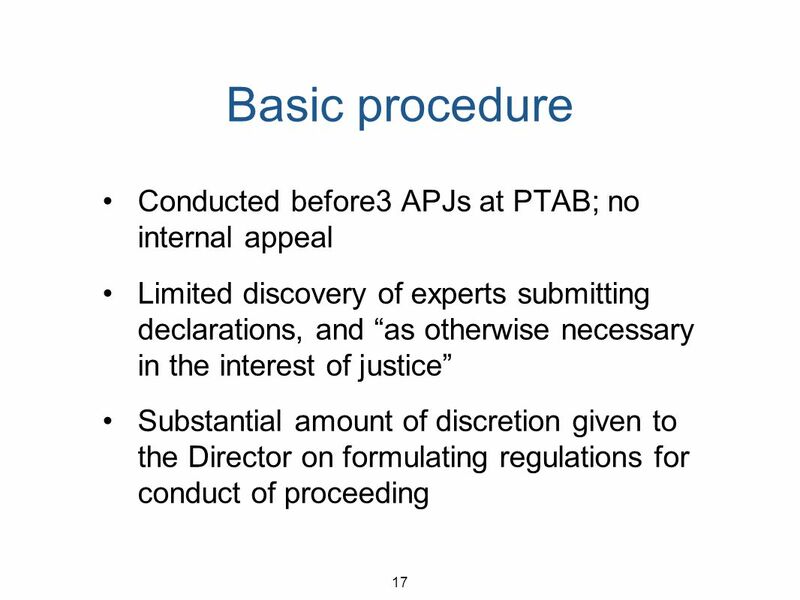 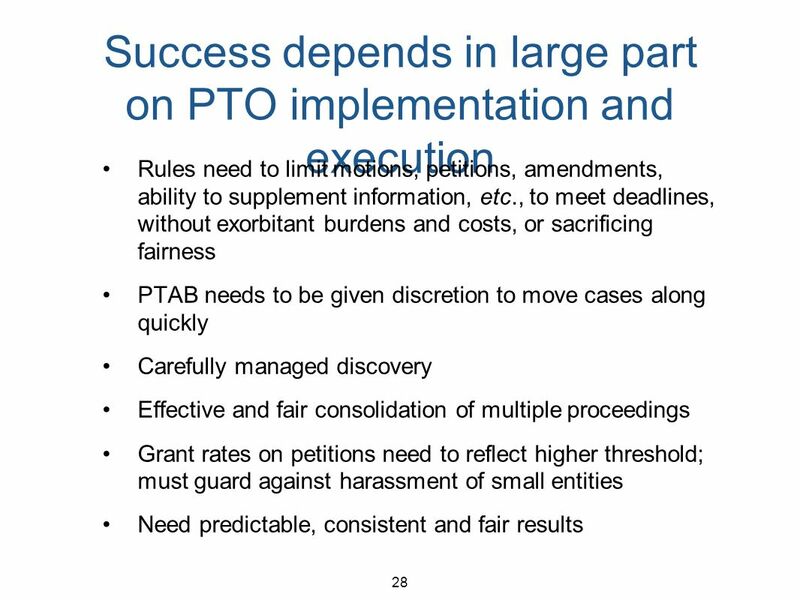 Thus, many patents must go through two rounds of administrative review (one by the examiner, and a second by the Patent Board) adding to the length of the proceeding. 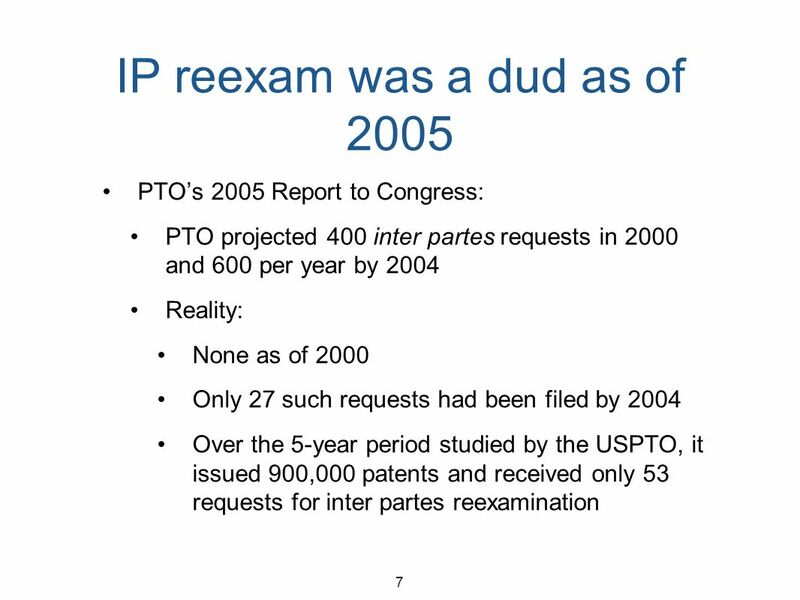 Download ppt "1 The Promise of Reexamination: Fulfilled or Fizzled? 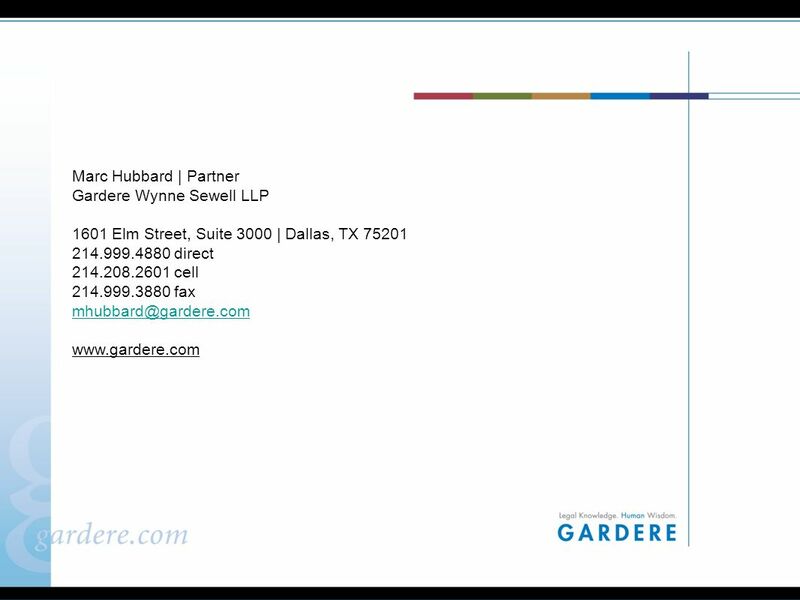 2011 AIPLA Annual Meeting Washington, D.C. September 22, 2011 Marc Hubbard Gardere Wynne Sewell,"
1 1 1 AIPLA Firm Logo American Intellectual Property Law Association Experience and Issues After the AIA Two Years Later AIPLA IP Practice in Europe Committee. 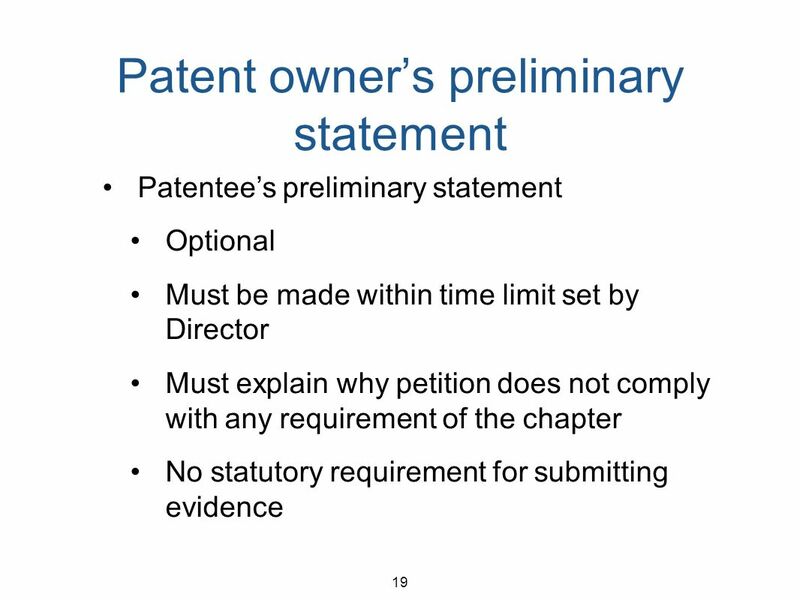 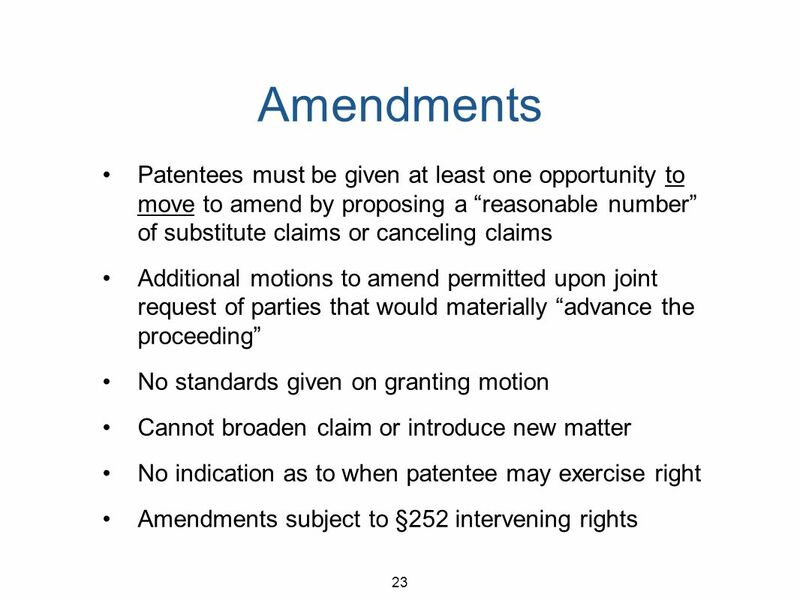 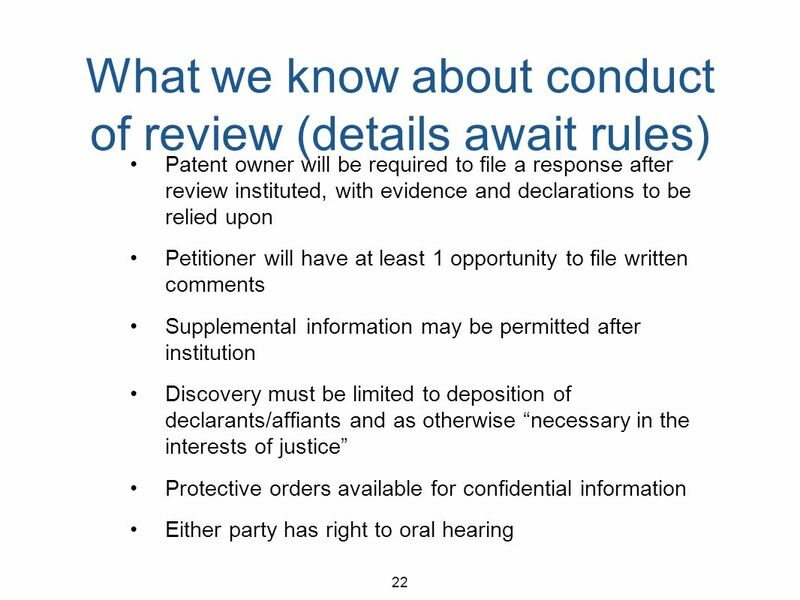 Webinar: Request for Comments on AIA Trial Proceedings Before the PTAB July 29, Scott Boalick, Vice Chief Judge (Acting) Patent Trial and Appeal. 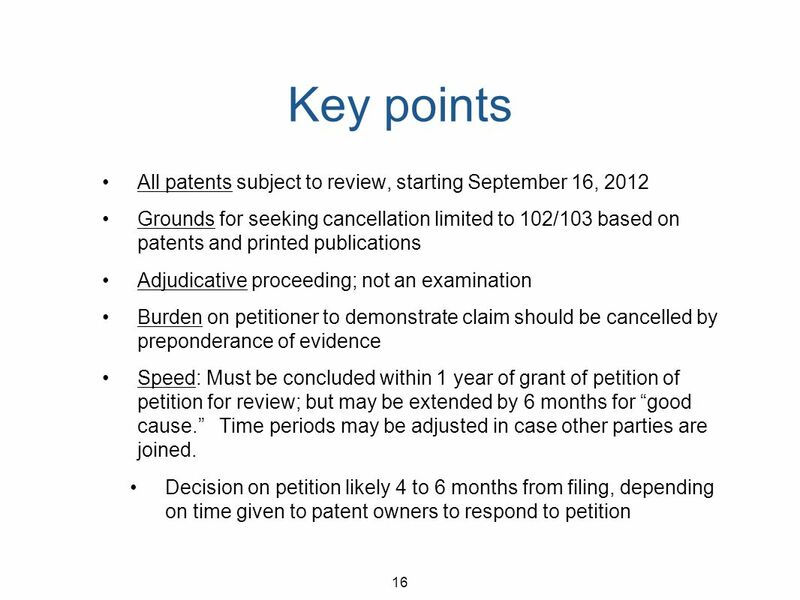 ADDMG CLE 10/12 Chris Regan. 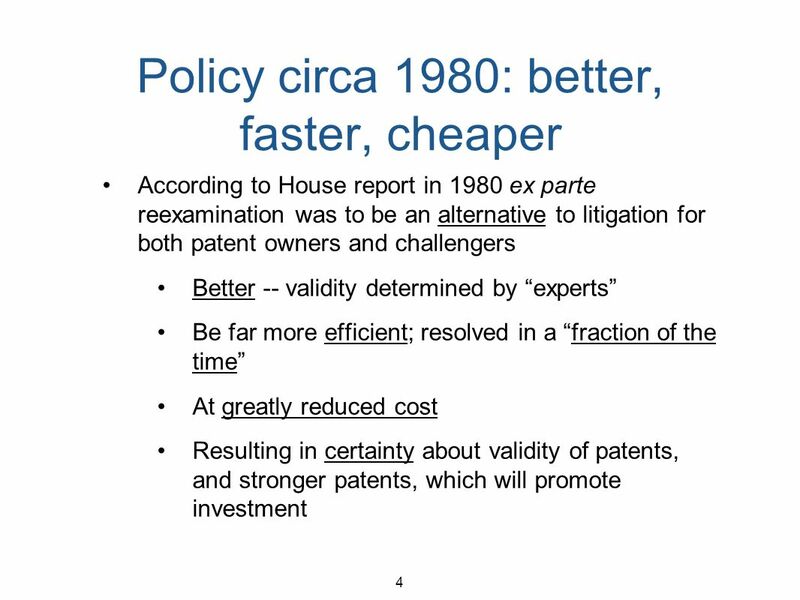 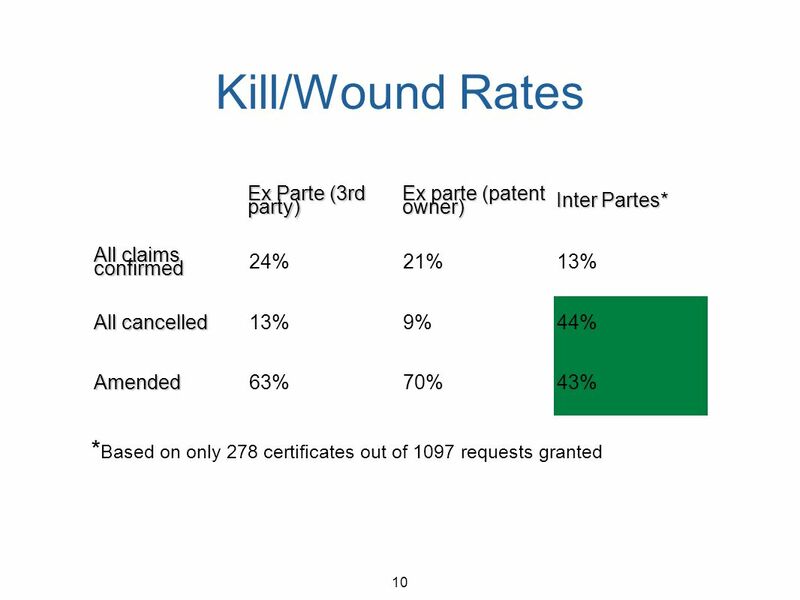 Improve Patent Quality and Reduce Litigation Burdens  The challenge options  Paper submissions  PTO trials  Basic mechanics. 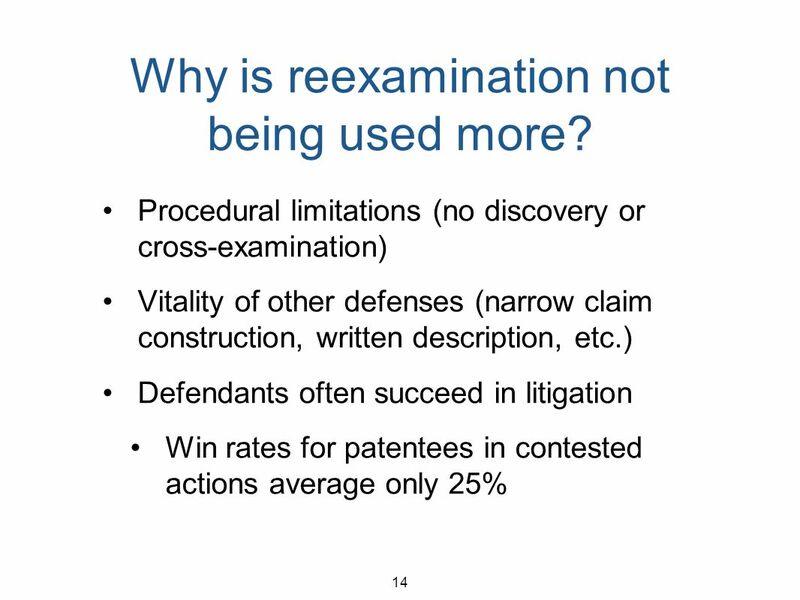 Comments on the USPTO’s Proposed Streamlined Patent Reexamination Regulations Greg H. Gardella Elizabeth Iglesias Jason Sullivan Irell & Manella, LLP. 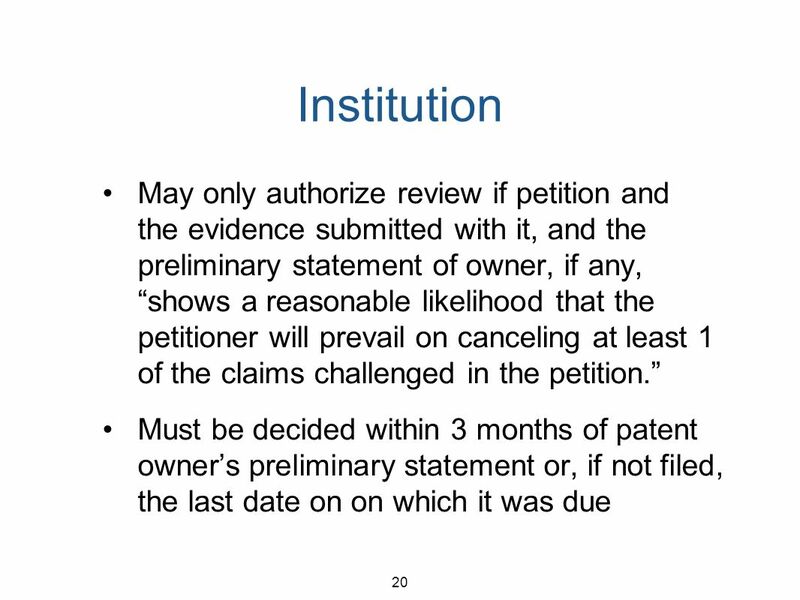 Joint Meeting of PIPLA and NJIPLA February 7, 2012 Kenneth N. Nigon RatnerPrestia 1.